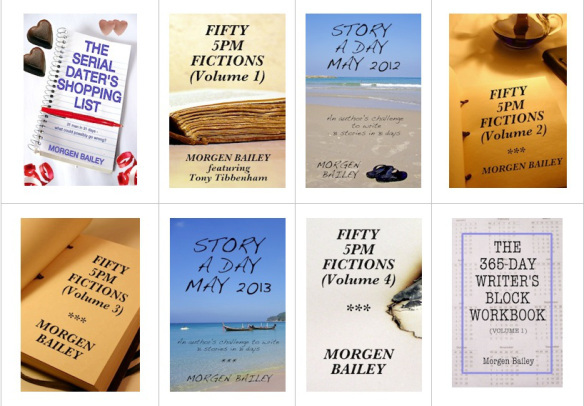 Today’s book review of a short story collection is brought to you by yours truly, Morgen Bailey. If you’d like your book reviewed or to send me a book review of another author’s book, see book-reviews for the guidelines. Other options listed on opportunities-on-this-blog. Synopsis: Discover a world of heroes and villains, suspense and intrigue. This riveting and comprehensive collection brings together some of the best crime writing of all time. Ruth Rendell and Frances Hegarty spearhead the modern genre, moving through the popular and rarely recorded Graham Greene, to Edgar Wallace and G.K. Chesterton and his master detective Father Brown. And that’s not all. You can find the following on this title: “Loopy”, “The Missing Romney”, “Insufficient Evidence”, The Compleat Criminal”, “The Case for the Defence”, “Markheim”, “The Blue Cross”, “Bluebeard’s Bathtub”, “Nine Point of the Law”, “Arsene Lupin in Prison”. This collection includes stories from Ruth Rendell, Frances Hegarty, E.W. Hornung, Graham Greene, Margery Allingham, Charles Dickens, G.K. Chesterton, Maurice Leblanc, Edgar Wallace, and Robert Louis Stevenson. 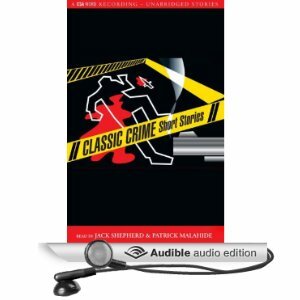 This collection is available via http://www.amazon.com/Classic-Crime-Short-Stories/dp/B000B9NDIQ. The collection starts with Ruth Rendell’s Loopy (37.34), a strange tale about a man, Colin, who takes his role of Little Red Riding Hood’s wolf far too seriously. His relationship with his fiancée sours as he grows closer to his mother, who had made his costume, amid discussions of their living arrangements. Next up is Edgar Wallace’s The Missing Romney (21.50), a stolen painting taken from a deserving arrogant aristocrats – those with bloated bank balances earned by dubious means – by the elusive Robin Hood-type serial thief Four Square Jane. She’s investigated by Peter Dawes who admires her for being a criminal with a brain. It appears to be the perfect crime and when it’ revealed, it shows how clever Jane, and therefore, Edgar is. My favourite of the collection. The third story, Insufficient Evidence by Frances Hegarty (18.39), is a sad tale about a woman who seeks retribution and gets it, but not to her or others’ expectations. Another well-written piece. The fourth (and narrator-heavy) story sees the return of Edgar Wallace and his ‘The Compleat Criminal’ (25.29). The main character is Felix O’Hara Golbeater, a solicitor who had come in contact with many criminals. He appears to commit the perfect crime under another identity but his plan starts to unravel. The crime may have been clever but the ending was predictable and I guessed it. ‘The Case for the Defence’ by Graham Greene (7.58) is another classic and well-described story, and the shortest of the collection. It does however features twins and I expected a clichéd ending but the one given was satisfying. Robert Louis Stevenson’s ‘Markheim’ (45.25) is a strange tale about the interaction of an antique dealer and a customer, named Markheim. It lost me a couple of times but will appeal to surreal lovers. The Blue Cross by GK Chesterton (45.29), like the three stories before it, is narrator-heavy with character description at the start. The main two characters are the criminal Flambeau and his pursuer Detective Valentin. My favourite line was about coincidences and how a Williams killing a Williamson, a case of infancide. A very clever tale, one of the best here. Margery Allingham’s ‘Bluebeard’s Bathtub’ (25.18) – also known as Three is a Lucky Number – is another clever story but Ronald Torbay meets his match. The last but one story is EW Hornung’s ‘Nine Points of the Law’ (35.47) is a cat and mouse-type story of Harry ‘Bunny’ Manders attempting to outwit Raffles. He appears to have done so but is everything as it seems? Finally is Maurice Leblanc’s ‘Arsene Lupin In Prison’ (42.54). Another incredibly clever tale which seems impossible but there’s always a way. Generally the writing is very strong, albeit outdated in some respects and like most compilations, some stories are better than other but enough will appeal to any reader, especially those who enjoy historical crime mysteries. I love Edgar Wallace, and I like one of Margery Allingham’s heroes, but I can’t remember his name.